If you've been looking out of an Amazon Echo deal for a while, you'll know that the Amazon Echo and Amazon Echo Dot tend to yo-yo in price like the wind depending on the current climatic conditions, the current world order or maybe how much stock Amazon has lying around in the warehouse. Who knows, quite frankly. 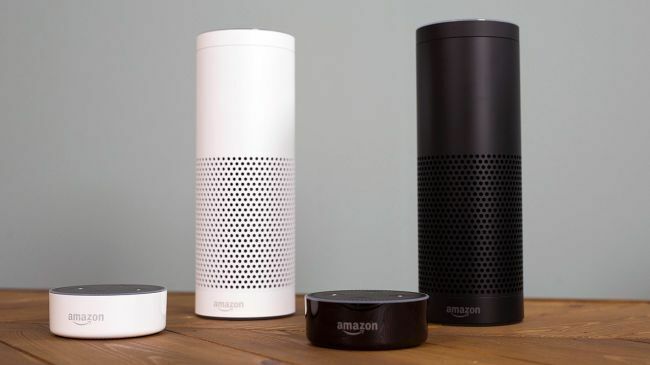 What we do know is that the prices have currently dropped quite significantly with a £50 saving on the Amazon Echo and a £5 saving on the diminutive but super-useful Echo Dot. In our T3.com review, we called Amazon Echo Dot a 'no brainer' to buy. It's a hands-free, voice-controlled device that uses Amazon's voice assistant Alexa to play music, control smart home devices, provide information, read the news, set alarms and more. Amazon Echo takes the concept a step further - it's a hands-free speaker, great for music, radio, news bulletins and more. Check out the latest Echo Dot and Echo prices below.